In light of the upcoming Eastern Partnership Summit, the European Parliament adopted today by a large majority its recommendation to the EU leaders, the Commission, and the European External Action Service. 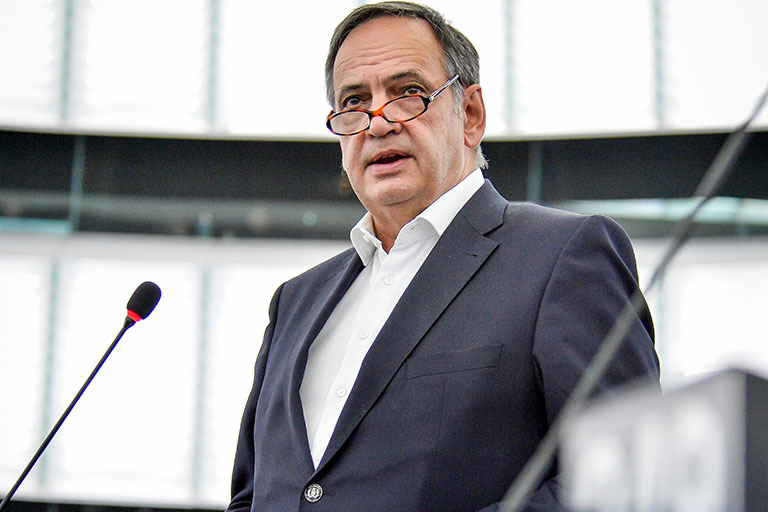 Knut Fleckenstein MEP and S&D spokesperson for foreign affairs and co-rapporteur of the report, pointed out: "The European Parliament adopted today an ambitious and pragmatic text, containing concrete recommendations in view of the Brussels Eastern Partnership Summit. We have to recognise that important steps have been made with the signature of advanced Association Agreements and the visa liberalisation with Georgia, Moldova, and Ukraine. However, as is the case of these more advanced countries, a lot still remains to be done. Instead of talking about theoretical membership prospects, the focus should be now be on implementing the existing commitments and delivering tangible results for the citizens. We empathize the need for reforms in the eastern countries in order to strengthen civil society and promote European fundamental values such as democracy, the rule of law and human rights. "The summit can, nevertheless, provide a realistic vision for the future. Differentiation, conditionality, and the 'more for more' principle are key in our relationship with our eastern partners. We need to extend the hand and assist those who share our common values, and show true willingness to implement the necessary reforms. For this reason, we propose a more ambitious EaP PLUS model for the future, provided that the existing partnership commitments are fulfilled and at least some of the countries prove they are ready to take more ambitious steps. The report proposes attractive fields of further long-term co-operation like joining the customs union, energy union, digital union and Schengen area as well as the abolition of roaming tariffs. This EaP PLUS should be open to all and each country's progress must be evaluated on its own merit. This will make the project a concrete incentive for all those who want to be a part of it. Regardless of the intensity of each co-operation, every eastern partner is of the same value to the EU. Therefore, the door should remain open for Armenia, Azerbaijan and Belarus for when, and if, they wish to be a part of it. It goes without saying that any further EU co-operation should be attached to strict conditionality. "At the same time, attention should be drawn to the neighbours of our neighbours. We reiterate that the Eastern Partnership is not directed against anyone. It is a project of co-operation, peace and joint prosperity. Benefits shouldn't be achieved for the sake of the European Union but for the benefit of the citizens of each partnership country. Moreover, dialogue needs to be maintained with Russia which is involved in many regional conflicts of our common neighbourhood."